Discussion in 'TalkCeltic News' started by Officer Doofy, Jun 15, 2018. 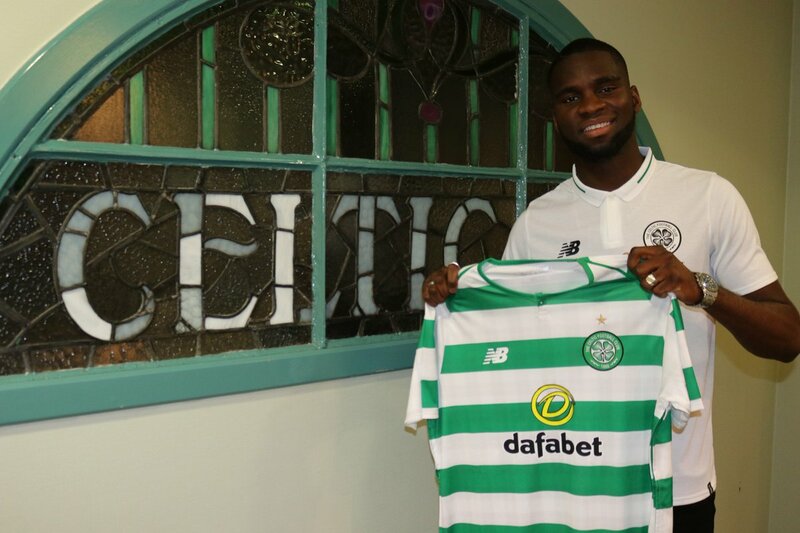 Celtic have today confirmed the permanent signing of Odsonne Edouard on a 4-year deal. The 20-year old Frenchman joins from PSG, after a successful loan spell in the 2017/18 season. The fee has not been disclosed, however the club have confirmed that it is a record breaking deal. If you're going to be betting on the Scottish Premiership next season then it's important to make sure you get the best offers when opening a new betting account. One site we would reccomend for this is Footy Accumulators who offer the best sky bet new customer offers as well as a variety of offers for other bookmakers. Edouard joined Celtic on loan in the summer of 2017, joining up with his compatriots Moussa Dembele and Olivier Ntcham. Although he had played little football at senior level, his record for the France U17, U18 and U19 teams suggested he was a player with huge potential. In fact, he was the star player for France at the 2015 European Under-17 Championships – winning both the Golden Player and Golden Boot awards as he fired them to their second title. Despite scoring and assisting on his debut, in a 4-1 win against Hamilton, he took some time to get into his stride in a Celtic jersey. He would have to wait 3 months before finding himself on the score sheet again and display his true potential. In a 5-1 rout against Motherwell at Celtic Park, Edouard not only scored his first senior hat-trick, but he gave the Celtic fans a sign of what was to come. He bullied the opposition defence, popped up in the right places at the right time and proved that in addition to his size and physicality, he has fantastic ability with the ball at his feet. More goals came against Hearts, Hibs, Brechin, Morton and Dundee in the next few months. However, he truly established himself as a fan favourite after two magnificent displays against Rangers in the final weeks of the season. The first of these came on March 11th as ten-man Celtic came back from behind twice to win 3-2 at Ibrox. Edouard had come on as a sub with little over 20 minutes remaining and with almost his first involvement, he drove forward before cutting inside and curling a stunning shot into the top corner to put the Hoops ahead for the first time. The goal proved to be the match winner. Then, one month later, with Moussa Dembele out injured, Edouard was given a chance to show what he could from the start…and it didn’t take him long to make his mark on the game. With only 14 minutes on the clock, Edouard got on the end of a Kieran Tierney cross to put Celtic 1-0 up. He then made it 2-0 less than 30 minutes later with a fantastic solo goal. Receiving the ball 40 yards from goal, he drove at the Rangers defence, twisting in and out, before driving the ball into the bottom corner from inside the box. Unfortunately, a hat-trick evaded him this time, however he showed great skill to set up McGregor for the fifth goal. Despite missing the final 3 matches of the season, Edouard had shown more than enough to convince both the support and the club that he was a player worthy of smashing our transfer record to sign. Swervedancer, The Prof, Wee Jamesy and 3 others like this.